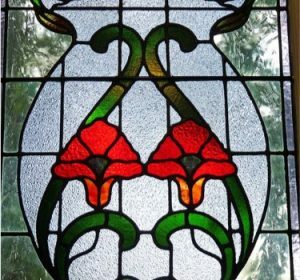 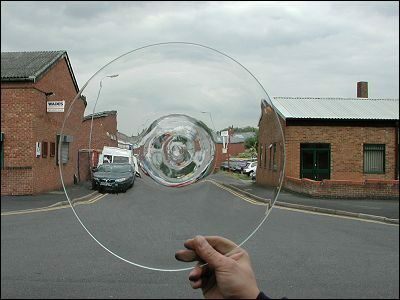 We stock clear glass bullions, they are hand-made and vary in size between 200mm and 550mm in diameter. 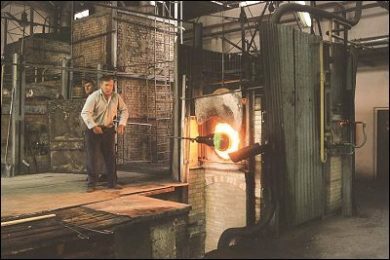 The first step in making a bullion is gathering molten glass on the end of an iron tube. 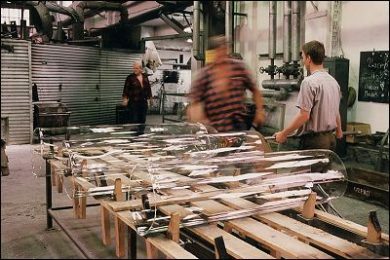 The glass can weigh as much as 11 pounds and has to be repeatedly dipped in molten glass to gather sufficient material. 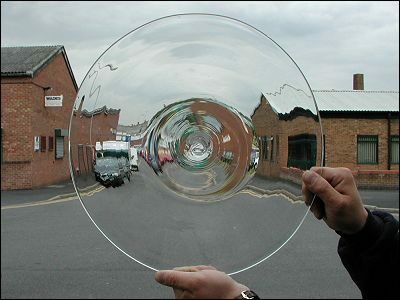 The glass is blown to a pear shape and with repeated heating and blowing, it is turned into a globe. 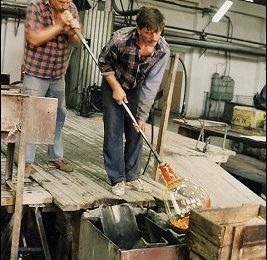 Whilst the glass is still semi-molten, the side opposite the blow tube is partially flattened by pressure on a plane surface. 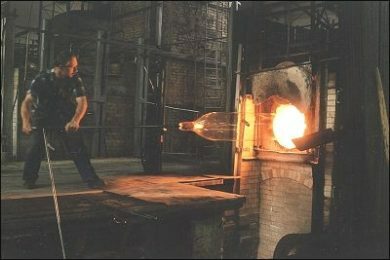 A small quantity of molten glass is gathered on the end of a punt (a strong metal bar) and this is applied to the centre of the flattened side, directly opposite the hollow blow tube. 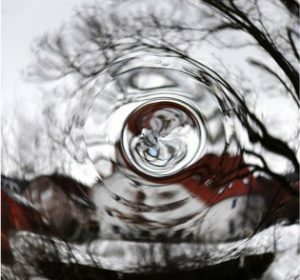 The blow tube is removed by applying water – this causes the glass to fracture, leaving a circular hole about 2 inches in diameter where the tube was attached. 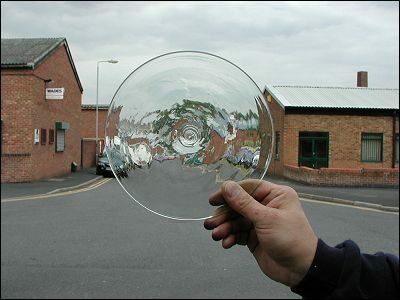 The hollow globe is then reheated and spun. 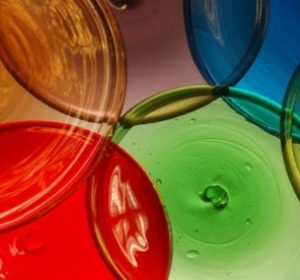 The hole slowly enlarges as the globe is repeatedly heated and spun, and the overall globe diameter increases, forming a disc turned in on itself. 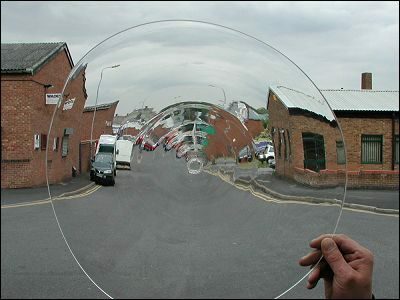 Eventually, the “hole” is almost the same diameter as the disc and at this point, further spinning causes the hole to vanish, leaving a uniform disc 500 to 600mm in diameter. 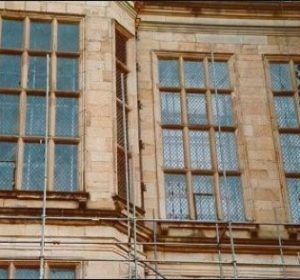 It will vary in thickness (thinner at the outer edge and thicker in the middle), where it was connected to the punt – there will be a slight lump there called the bull’s eye. 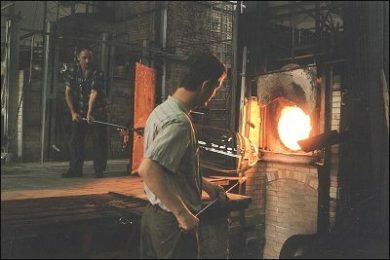 The finished disc then has to be annealed carefully in an annealing oven to remove brittleness and allow the glazier to be able to cut it as required.